They usually start out with a hunger or craving for companionship, but if this healthy craving escalates into loneliness and neediness, such people tend to make bad choices. They might just grab whoever’s available or seek out a particular type that at first glance always appears appetizing. When it’s hot, it’s fabulous! It’s exciting and fun — very enjoyable. But as the euphoria of the new relationship starts to wear off and the “can’t get enough of you” passion cools down, what’s left isn’t exactly satisfying. Sometimes it’s even harmful, and the long-term effects can be devastating. The blissful first two months of a relationship are not a good indicator of long-term compatibility. Most relationships only last three to six months because it takes that long for your issues to come to the surface—and more often than not you discover you aren’t right for each other. Staying in a relationship because it’s more comfortable to stay than to leave—but it’s not making you happy. Are you afraid you’ll never find anyone else, or feel the same way as you did in those first two months? That hot guy or girl (bad boy) that you know isn’t good for you but you want him or her anyway. 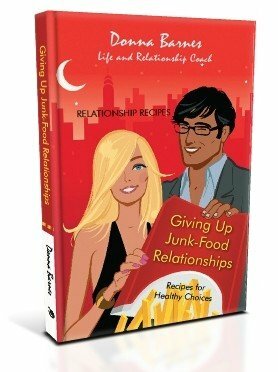 With relationships, it’s not always as easy to tell it’s not good for you until you’ve already digested a lot of it. 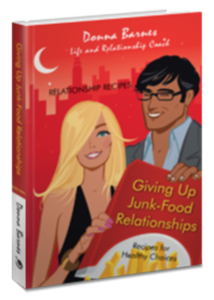 As a relationship coach, I see a lot of people who don’t really know if their relationship is right for them. I even see people who are in downright toxic relationships but don’t know it or refuse to acknowledge it.